Vegetable garden planning is key to successful harvests. Whether you are new to growing your own food or have been growing a vegetable garden for years, you will benefit from some planning each year. For many of us who experience long winters, planning the garden helps us look forward to warmer days and connecting with nature once again. By far, the most popular articles here at Grow a Good Life are about vegetable garden planning. I am thrilled that so many are searching for information and creative ways to grow your own food. 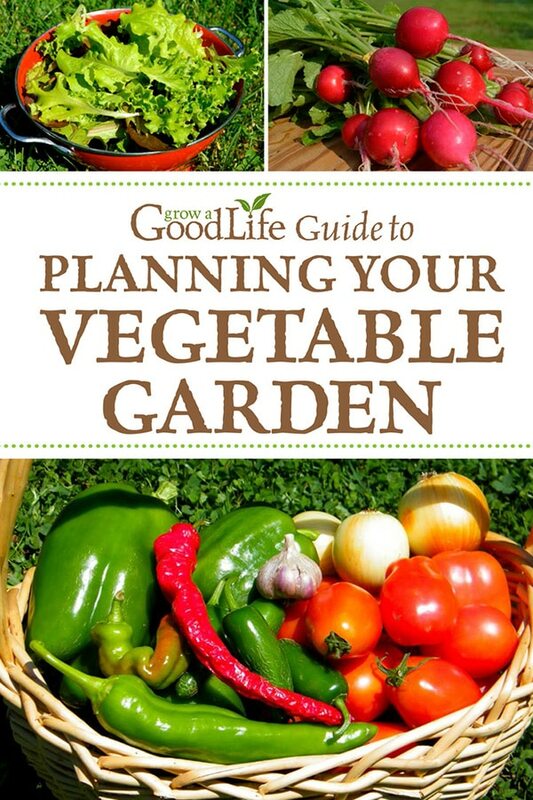 I have gathered the articles about the planning stages of a vegetable garden, expanded the information, added new material not found on the website, and published a PDF eBook, Grow a Good Life Guide to Planning Your Vegetable Garden. There is nothing like biting into a ripe tomato handpicked from the vine. It delights all your senses from its vibrant red color, sun-warmed skin, and the firm snap as your teeth sink in. Then the flavor, aroma, and juiciness burst forth as you take your first mouthful. This is just one of the pleasures you can enjoy when you grow your own food. Whether you are new to growing your own food or have been growing a vegetable garden for years, you will benefit from some planning each year. 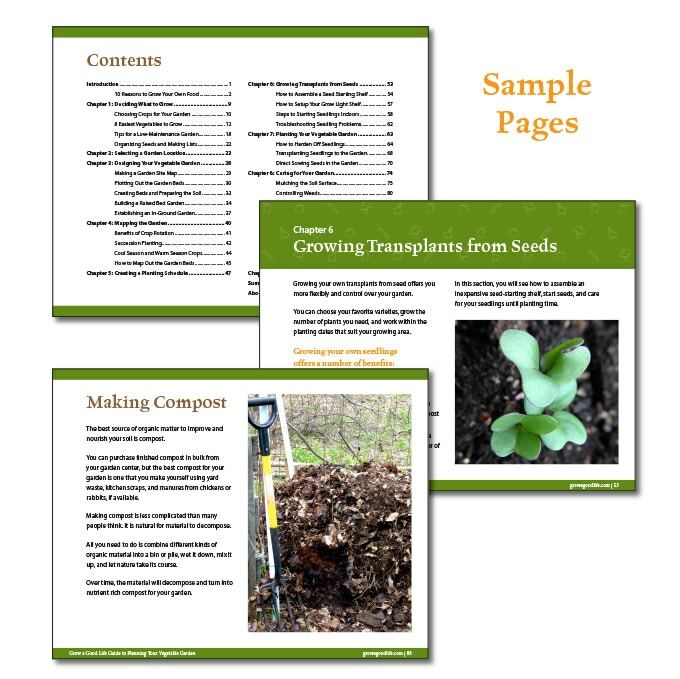 As you read this guide, you will learn the difference between cool season and warm season crops, succession planting, vertical gardening, and how to monitor your plants for the most common pests and disease. I also share some of the easiest vegetables to grow and some low maintenance gardening tips to help you save time and be more efficient in the garden. The rewards of growing your own food are impressive from superior flavor to saving money at the grocery store. Freshly harvested produce grown organically without chemicals and pesticides is much better for your health. Growing your own, even on a small scale, lets you know exactly where your food is coming from. So let’s get started with planning your vegetable garden today! 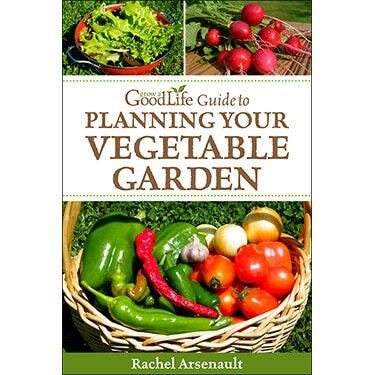 Purchase the PDF eBook, Grow a Good Life Guide to Planning Your Vegetable Garden and plan this years garden!